The verdict: Americans aren’t getting a fair deal when it comes to credit reporting. While there are numerous articles and reports detailing the study’s grim findings, it’s important to consider the knowledge we’ve gained from this information. The system is clearly broken; is it possible to operate successfully within it? Let’s start by debunking some common misconceptions. Misconception #1: The credit bureaus are to blame for every mistake. Six months ago, Jason paid off a significant portion of his student loans, reducing his debt-to-income ratio. With renewed faith in his finances, Jason decides to buy an affordable home in his neighborhood. When the mortgage lender pulls his credit reports, however, he discovers that one report has failed to adjust his student loan balance. The result is a lower credit score average for Jason, and less-than-favorable mortgage terms. Jason’s situation isn’t uncommon. Although account information and changes are supposed to be reported to each bureau, some changes get lost in the shuffle. The bottom line: The credit bureaus can only work with the information provided, and they have no vested interest in making mistakes. Misconception #2: Creditor mistakes are intentional. “My creditors are to blame!” is probably the next thought on your mind. 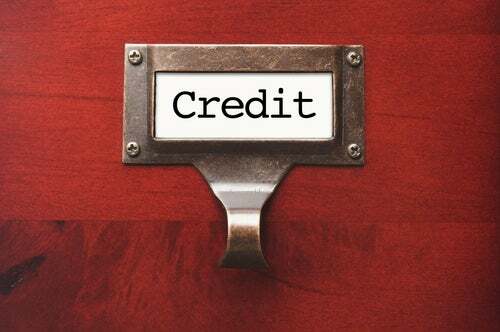 It’s true, it is their responsibility to report your information to the credit bureaus, but not all creditors are created equal. While some creditors are negligent when it comes to credit reporting, the majority of businesses work to ensure customer satisfaction. Irate customers equal loss of business, something no company can afford. If you’re concerned about your creditor’s reporting practices, check their Better Business Bureau ranking to see if similar complaints have been filed. It’s more likely that the mistake was unintentional. Misconception #3: There is only one channel of credit repair: the bureaus. Your creditor reports the account details to the credit bureaus. The credit bureaus update your report with current information. As the FTC study has shown, the potential problems that exist between these three steps are numerous. This brings us to our third misconception: the credit bureaus are the only ones who can help you repair credit errors. The list above shows us that bureaus are the last in the chain of accurate reporting. When you spot a mistake, your creditor should be the first contact. Speaking to a direct source allows you to discuss the particulars of your account, remaining balances, and other information that the bureaus cannot access as quickly. If you’re overwhelmed by the process, seeking an advocate in Lexington Law is a smart solution. We hold your creditors accountable to their obligation for fair, accurate, and substantiated reporting. Don’t get caught up in misconceptions and statistics. Give your credit the individual attention it deserves. Use the appropriate channels to achieve the fastest results.